Movies: Should they be factual? I’m not sure how many people here have seen the movie “Rio” which is a children’s movie that involves a macaw. I have never seen it. Most times when there is a movie I think Jasper might like I position the tv so he can view it and if it looks he is enjoying it I will dvr it next time it is on. When this movie started on Saturday morning I went through this process for my bird. I sat down to watch the first few minutes while waiting for my husband to get is shoes on for we were heading out. Within the first five minutes of the show I was spitting bullets. For they showed the owner placing a cup of hot cocoa with marshmallows and a few chocolate chips on the plate for Blue to enjoy. Birds are not able to handle chocolate, and if you proceed to give your bird this delicacy it will kill them. The reason being their body temperature is lower than humans so they are not able to melt the chocolate hence causing them to choke on it. Even my husband said it had to be coffee. It couldn’t possibly be cocoa. But it was. I know this is a kid’s movie but seriously? What if people viewing the movie thought it was okay to give this to birds in the wild or their own? Jasper was staring carefully as he watched Blue eat the cookie and then he looked at me. Even he was wondering what was up. To me this was very irresponsible and I feared what might or could occur because of this scene. Just because it is meant for a younger audience does not mean it shouldn’t be accurate. A fact I home in on repeatedly when I write my own children’s book and the amount of research I do per volume. Am I reacting to much? I don’t believe so. I just truly hope no birds were hurt due to this gross oversight on the people who made this film. Facts need to be checked for all genres and all ages. Something I strive for when I write. No, I don’t think it’s overreacting. People will do things without thinking – our culture is to see it and do it. There was an ad for Asda in the UK that showed a macaw drinking wine, and then marketed that brand. A lot of parrot owners were outraged then, too. I haven’t watched Rio yet. The effect might be worst for kids? 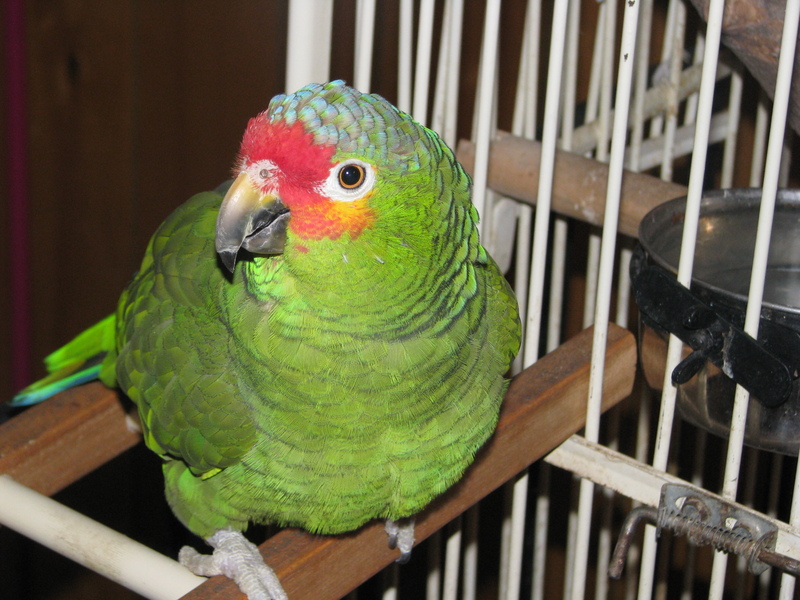 Adults might think twice about chocolate for parrots (I hope), but a kid would see no harm. That is my fear that kids will try to imitate this. That is mind blowing the ad you mentioned. Good grief. I just hope no birds were hurt in that ad or this film.